Finance for $702 per month at 3.99% APR for 72 months with $4,981 down payment. Payment expires on 04/30/19. Estimated Finance payment based upon 3.99% APR for 72 months, with a down payment of $4,981. Excludes title, taxes, registration, and license fees. Some customers will not qualify. See your authorized dealer for complete details on this and other offers. Residency restrictions may apply. Lease for $785/month for 36 months with $4,981 due at signing including $0 Security Deposit and 10,000 miles per year. Payment expires on 04/30/19. Estimated Lease payment based on 36 months and $4,981 due at lease signing. Cash due at signing includes $4,196 capitalization cost reduction, which includes $795 acquisition fee, plus a required security deposit of $0, and first month's lease payment of $785. Excludes title, taxes, registration, and license fees. Total monthly payments equal $32,437. Mileage charge of $0.25 per mile over 10,000 miles. Not all consumers will qualify. Residency restrictions may apply. Finance for $688 per month at 3.99% APR for 72 months with $4,994 down payment. Payment expires on 04/30/19. Estimated Finance payment based upon 3.99% APR for 72 months, with a down payment of $4,994. Excludes title, taxes, registration, and license fees. Some customers will not qualify. See your authorized dealer for complete details on this and other offers. Residency restrictions may apply. Lease for $501/month for 36 months with $4,994 due at signing including $0 Security Deposit and 10,000 miles per year. Payment expires on 04/30/19. Estimated Lease payment based on 36 months and $4,994 due at lease signing. Cash due at signing includes $5,494 capitalization cost reduction, which includes $795 acquisition fee, plus a required security deposit of $0, and first month's lease payment of $501. Excludes title, taxes, registration, and license fees. Total monthly payments equal $23,504. Mileage charge of $0.25 per mile over 10,000 miles. Not all consumers will qualify. Residency restrictions may apply. Finance for $689 per month at 3.99% APR for 72 months with $5,004 down payment. Payment expires on 04/30/19. Estimated Finance payment based upon 3.99% APR for 72 months, with a down payment of $5,004. Excludes title, taxes, registration, and license fees. Some customers will not qualify. See your authorized dealer for complete details on this and other offers. Residency restrictions may apply. Lease for $502/month for 36 months with $5,004 due at signing including $0 Security Deposit and 10,000 miles per year. Payment expires on 04/30/19. Estimated Lease payment based on 36 months and $5,004 due at lease signing. Cash due at signing includes $5,503 capitalization cost reduction, which includes $795 acquisition fee, plus a required security deposit of $0, and first month's lease payment of $502. Excludes title, taxes, registration, and license fees. Total monthly payments equal $23,549. Mileage charge of $0.25 per mile over 10,000 miles. Not all consumers will qualify. Residency restrictions may apply. Finance for $699 per month at 3.99% APR for 72 months with $5,071 down payment. Payment expires on 04/30/19. Estimated Finance payment based upon 3.99% APR for 72 months, with a down payment of $5,071. Excludes title, taxes, registration, and license fees. Some customers will not qualify. See your authorized dealer for complete details on this and other offers. Residency restrictions may apply. Lease for $509/month for 36 months with $5,071 due at signing including $0 Security Deposit and 10,000 miles per year. Payment expires on 04/30/19. Estimated Lease payment based on 36 months and $5,071 due at lease signing. Cash due at signing includes $5,563 capitalization cost reduction, which includes $795 acquisition fee, plus a required security deposit of $0, and first month's lease payment of $509. Excludes title, taxes, registration, and license fees. Total monthly payments equal $23,856. Mileage charge of $0.25 per mile over 10,000 miles. Not all consumers will qualify. Residency restrictions may apply. Finance for $767 per month at 3.99% APR for 72 months with $5,558 down payment. Payment expires on 04/30/19. Estimated Finance payment based upon 3.99% APR for 72 months, with a down payment of $5,558. Excludes title, taxes, registration, and license fees. Some customers will not qualify. See your authorized dealer for complete details on this and other offers. Residency restrictions may apply. Lease for $558/month for 36 months with $5,558 due at signing including $0 Security Deposit and 10,000 miles per year. Payment expires on 04/30/19. Estimated Lease payment based on 36 months and $5,558 due at lease signing. Cash due at signing includes $6,000 capitalization cost reduction, which includes $795 acquisition fee, plus a required security deposit of $0, and first month's lease payment of $558. Excludes title, taxes, registration, and license fees. Total monthly payments equal $26,069. Mileage charge of $0.25 per mile over 10,000 miles. Not all consumers will qualify. Residency restrictions may apply. Finance for $768 per month at 3.99% APR for 72 months with $5,567 down payment. Payment expires on 04/30/19. Estimated Finance payment based upon 3.99% APR for 72 months, with a down payment of $5,567. Excludes title, taxes, registration, and license fees. Some customers will not qualify. See your authorized dealer for complete details on this and other offers. Residency restrictions may apply. Lease for $559/month for 36 months with $5,567 due at signing including $0 Security Deposit and 10,000 miles per year. Payment expires on 04/30/19. Estimated Lease payment based on 36 months and $5,567 due at lease signing. Cash due at signing includes $6,008 capitalization cost reduction, which includes $795 acquisition fee, plus a required security deposit of $0, and first month's lease payment of $559. Excludes title, taxes, registration, and license fees. Total monthly payments equal $26,110. Mileage charge of $0.25 per mile over 10,000 miles. Not all consumers will qualify. Residency restrictions may apply. Finance for $769 per month at 3.99% APR for 72 months with $5,568 down payment. Payment expires on 04/30/19. Estimated Finance payment based upon 3.99% APR for 72 months, with a down payment of $5,568. Excludes title, taxes, registration, and license fees. Some customers will not qualify. See your authorized dealer for complete details on this and other offers. Residency restrictions may apply. Lease for $559/month for 36 months with $5,568 due at signing including $0 Security Deposit and 10,000 miles per year. Payment expires on 04/30/19. Estimated Lease payment based on 36 months and $5,568 due at lease signing. Cash due at signing includes $6,009 capitalization cost reduction, which includes $795 acquisition fee, plus a required security deposit of $0, and first month's lease payment of $559. Excludes title, taxes, registration, and license fees. Total monthly payments equal $26,115. Mileage charge of $0.25 per mile over 10,000 miles. Not all consumers will qualify. Residency restrictions may apply. Finance for $777 per month at 3.99% APR for 72 months with $5,625 down payment. Payment expires on 04/30/19. Estimated Finance payment based upon 3.99% APR for 72 months, with a down payment of $5,625. Excludes title, taxes, registration, and license fees. Some customers will not qualify. See your authorized dealer for complete details on this and other offers. Residency restrictions may apply. Lease for $565/month for 36 months with $5,625 due at signing including $0 Security Deposit and 10,000 miles per year. Payment expires on 04/30/19. Estimated Lease payment based on 36 months and $5,625 due at lease signing. Cash due at signing includes $6,061 capitalization cost reduction, which includes $795 acquisition fee, plus a required security deposit of $0, and first month's lease payment of $565. Excludes title, taxes, registration, and license fees. Total monthly payments equal $26,374. Mileage charge of $0.25 per mile over 10,000 miles. Not all consumers will qualify. Residency restrictions may apply. Finance for $778 per month at 3.99% APR for 72 months with $5,634 down payment. Payment expires on 04/30/19. Estimated Finance payment based upon 3.99% APR for 72 months, with a down payment of $5,634. Excludes title, taxes, registration, and license fees. Some customers will not qualify. See your authorized dealer for complete details on this and other offers. Residency restrictions may apply. Lease for $566/month for 36 months with $5,634 due at signing including $0 Security Deposit and 10,000 miles per year. Payment expires on 04/30/19. Estimated Lease payment based on 36 months and $5,634 due at lease signing. Cash due at signing includes $6,069 capitalization cost reduction, which includes $795 acquisition fee, plus a required security deposit of $0, and first month's lease payment of $566. Excludes title, taxes, registration, and license fees. Total monthly payments equal $26,415. Mileage charge of $0.25 per mile over 10,000 miles. Not all consumers will qualify. Residency restrictions may apply. Finance for $863 per month at 3.99% APR for 72 months with $6,126 down payment. Payment expires on 04/30/19. Estimated Finance payment based upon 3.99% APR for 72 months, with a down payment of $6,126. Excludes title, taxes, registration, and license fees. Some customers will not qualify. See your authorized dealer for complete details on this and other offers. Residency restrictions may apply. Lease for $975/month for 36 months with $6,126 due at signing including $0 Security Deposit and 10,000 miles per year. Payment expires on 04/30/19. Estimated Lease payment based on 36 months and $6,126 due at lease signing. Cash due at signing includes $5,152 capitalization cost reduction, which includes $795 acquisition fee, plus a required security deposit of $0, and first month's lease payment of $975. Excludes title, taxes, registration, and license fees. Total monthly payments equal $40,249. Mileage charge of $0.25 per mile over 10,000 miles. Not all consumers will qualify. Residency restrictions may apply. Finance for $855 per month at 3.99% APR for 72 months with $6,182 down payment. Payment expires on 04/30/19. Estimated Finance payment based upon 3.99% APR for 72 months, with a down payment of $6,182. Excludes title, taxes, registration, and license fees. Some customers will not qualify. See your authorized dealer for complete details on this and other offers. Residency restrictions may apply. Lease for $638/month for 36 months with $6,182 due at signing including $0 Security Deposit and 10,000 miles per year. Payment expires on 04/30/19. Estimated Lease payment based on 36 months and $6,182 due at lease signing. Cash due at signing includes $6,544 capitalization cost reduction, which includes $795 acquisition fee, plus a required security deposit of $0, and first month's lease payment of $638. Excludes title, taxes, registration, and license fees. Total monthly payments equal $29,511. Mileage charge of $0.25 per mile over 10,000 miles. Not all consumers will qualify. Residency restrictions may apply. Finance for $876 per month at 3.99% APR for 72 months with $6,223 down payment. Payment expires on 04/30/19. Estimated Finance payment based upon 3.99% APR for 72 months, with a down payment of $6,223. Excludes title, taxes, registration, and license fees. Some customers will not qualify. See your authorized dealer for complete details on this and other offers. Residency restrictions may apply. Lease for $990/month for 36 months with $6,223 due at signing including $0 Security Deposit and 10,000 miles per year. Payment expires on 04/30/19. Estimated Lease payment based on 36 months and $6,223 due at lease signing. Cash due at signing includes $5,233 capitalization cost reduction, which includes $795 acquisition fee, plus a required security deposit of $0, and first month's lease payment of $990. Excludes title, taxes, registration, and license fees. Total monthly payments equal $40,871. Mileage charge of $0.25 per mile over 10,000 miles. Not all consumers will qualify. Residency restrictions may apply. Why does everyone want to test drive the new Lexus RX 350L midsize SUV? 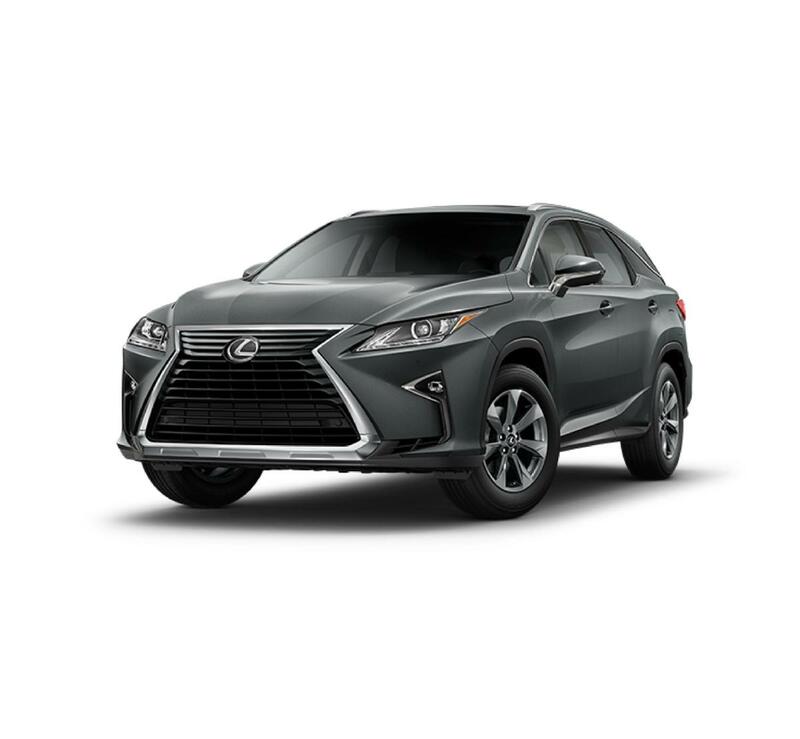 Designed after popular demand, the RX 350L combines the versatility of crossovers with enough room to make it an ideal family vehicle. This luxury SUV offers 3 rows of seating, with room for seven passengers. With ample legroom and climate control for the second and third row, this midsize crossover does not compromise on comfort when it added another row of seats. 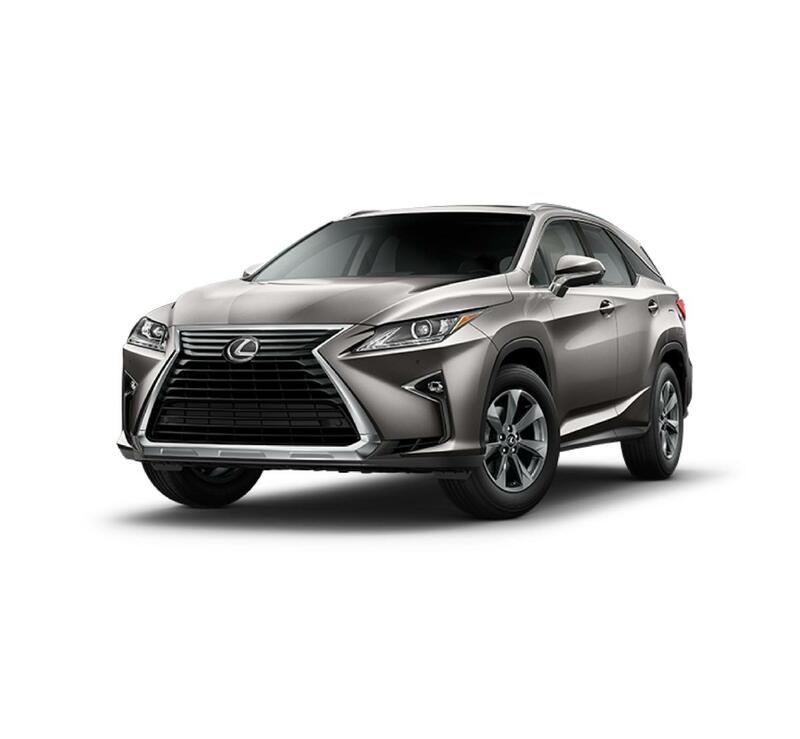 The RX 350L is equipped standard with front-wheel drive and a 290hp 3.5L V6 engine, or you can choose all-wheel drive. You can also take a look at this crossover's suite of optional safety features, including Blind Spot Monitor and Parking Assist. Contact Lexus Santa Monica at (424) 229-9998 today to set up a test drive with the new Lexus RX 350L. Stay posted for the RX 350L's hybrid companion, the Lexus RX 450hL, coming soon to Santa Monica and Los Angeles area Lexus stores.